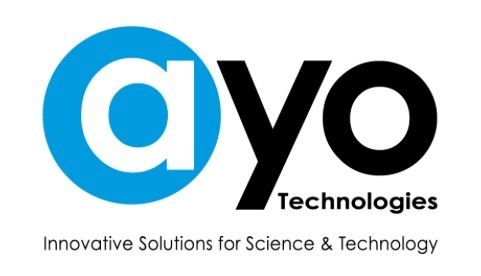 Stereo Microscopes – AYO Technologies Inc.
Mantis Compact is a low magnification visual inspection microscope, providing truly superb 3D imaging with unparalleled freedom of head movement. Featuring Vision Engineering’s patented eyepiece-less technology, Mantis Compact is the low magnification stereo viewer of choice for a wide range of inspection, manipulation or rework tasks requiring magnification. Patented optical technology not only provides superb 3D imaging, but also allows operators freedom of head movement. Superior ergonomics leads to greater productivity, increased throughput, improved quality control as well as minimal fatigue. Users are also able to wear glasses, if required. Mantis Compact is ideal for a wide range of tasks requiring 3D imaging with superb hand-to-eye co-ordination, including electronics inspection, dental re-work, dissection and preparation tasks, plus many other precision magnification tasks. Since its introduction, Vision Engineering’s Mantis has become the accepted standard for ergonomics and high performance magnification. 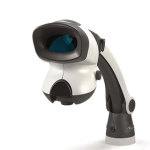 Mantis offers users 3D imaging with unrivalled clarity and comfort – without microscope eyepieces. Businesses choose Mantis because they know their operators are more efficient, more accurate and more productive. So the operator benefits and so does the business. Mantis Compact brings users many benefits for a wide range of inspection, manipulation or rework tasks. An ergonomic body position makes Mantis more comfortable, less fatiguing and, more importantly, much easier to use. Plus, since there are no microscope eyepieces, operators can sit back from Mantis, making viewing and co-ordination tasks an entirely natural experience. Advances in optical design allow your eyes and hands to work together resulting in increased throughput, accuracy and reduced scrap and rework. 2x, 4x, 6x and 8x magnification options provide clear, sharp images with long working distances and large depth of field. Increased head and body freedom for the operator leads to greater productivity, increased throughput, improved quality control and less fatigue. Mantis Compact offers effortless 3-dimensional viewing, with the apparent distance to the viewed object image identical to that of the real object, eliminating re-focussing of the operator’s eye; thus reducing the likelihood of fatigue. The latest generation of Mantis incorporates the most modern advances in optical design with LED illumination and a small footprint, giving a superb price / performance ratio. Universal arm for simplicity and flexibility. Rigid bench stand for added stability with substage illumination options. Articulated arm for applications requiring extended reach, without compromising stability. Floor stand (with articulated arm) for inspection where subjects are immobile, or require a standing position. The Mantis stereo inspection system is a popular solution for inspecting and manipulating samples under magnification. With Mantis Compact UV, the standard 20 white light LEDs of Mantis Compact are replaced with 20 UVA LEDs (2.4mW/cm², with wavelength peak at 375 ± 5 nanometers). Superb 3D optics make Mantis Compact UV, ideal for a wide range of non-destructive testing, crack & fatigue detection, conformal coating inspection of PCB’s, UV medical adhesives & general UV inspection tasks. o discuss your particular requirements in further detail, please contact your local Vision Engineering representative. Mantis is a true stereo microscope, without eyepieces. Twin optical paths pass through the patented optics of Mantis, exiting the single viewing lens as separate (stereo) optical paths, just as they would with a conventional stereo microscope. There is no magic, no electronic manipulation, just a high contrast, high resolution microscope image, without the hassle of microscope eyepieces. Is working distance dependent on magnification? What is depth of focus (depth of field)? What illumination options are there? What’s the price of Mantis Compact? What objective lenses do I require?